Isn’t it amazing how broad the spectrum of ex-Old Firm professionals is in the Scottish media nowadays? Some, level headed and enlightening on the modern-game; while others, as Mark Hateley proved on Friday in his weekly column, are bereft of a brain and retain a bitter and twisted attitude towards the other half of Glasgow’s great divide. It’s no secret that Hateley is as much of a stranger to biased reporting as Michelle McManus is to a Greggs steak-bake; but Friday’s moronic anti-Celtic rant showed that pretty much anything is fair game for Hateley’s type. Last week Hateley’s piece sent twitter into overdrive, getting the backs of Celtic fans up, while also causing many Rangers supporters to feel embarrassed at the unfounded balderdash that their one-time hero was spouting. Out of curiosity, I found it necessary to read it for myself. How I wish I hadn’t. Along with many others, I took umbrage to the Englishman’s article. In order to fully dispel and lambast his comments to a suitable degree, I’ve decided to analyse the ‘highlights’ sequentially. Where better to begin than the opening line? There is a whole host of things wrong with this, but I’ll stick to the blatantly obvious one. Celtic are in no way responsible for the financial implosion of their arch rivals, and Neil Lennon has transformed his wavering Celtic side, into a gutsy, resolute group of players who’ve steamrollered their way to no less than 17 consecutive SPL wins. This streak has included a win over Rangers, a 4-0 demolition of Hearts at Tynecastle, and a 5-0 mauling of Hibs at Easter Road to name but a few. I assume the ‘tainted’ aspect Hateley refers to is the 10-point deduction induced by his former club going in to administration. Supposing Celtic had a lead of less than the 10-point enforced deduction, I could see where he is coming from. But this isn’t the case, is it? Neil Lennon’s men have come from 15 points behind, to amass a colossal lead of 20 points. (FYI Mark, 20 is a bigger number than 10). Deary me. For someone who’s featured in many Old Firm Derbies, he really doesn’t get it.Such is the history of the two clubs, that petty rivalry and mockery of the other’s situation is almost mandatory for an active Old Firm fan. The situation at Rangers is not a tragic one; it’s come about by virtue of around 20 years of unsustainable spending. Of course I feel sympathy for the Rangers support as their pride and joy continues to be diluted into a shadow of its former self, but if you fly with the crows, you’re shot with the crows. The bubble was always going to burst. The Rangers fans filled their boots and enjoyed 9-in-a-row amongst other successes, while paying astronomical wages for Laudrup, De Boer, Gascoigne, Numan, Klos, Butcher, and yes, ironically, Hateley too. This list of players doesn’t even begin to quantify the money Rangers were recklessly spending to maintain a debatably unfair advantage over the rest of Scottish football. The club made their bed under Sir David Murray, now they must lie in it. The Rangers fans and low-level employees at Ibrox will tragically endure the repercussions, but why begrudge the Parkhead faithful a little pleasure after having to endure a lengthy era of being downtrodden, and up against the now infamous, “for every fiver Celtic put down, we’ll put down a tenner,” mentality? Where was Hateley’s moral compass when Rangers were romping their way to league titles, and winning domestic cups at a canter? How very big of him now to speak up for the ‘little guy’, after picking up a hefty weekly wage for years at Ibrox, and playing alongside players that any other Scottish club simply couldn’t afford in their wildest dreams. 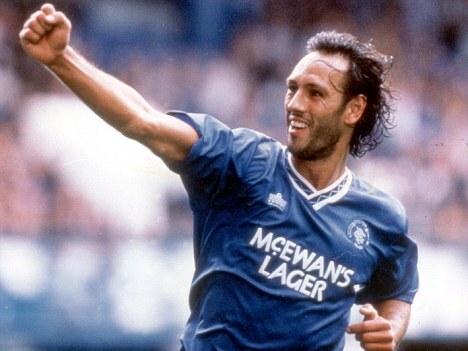 Hateley referred to “venom” at Celtic Park during this time of turmoil for Rangers. Have I missed something? The only thing I’ve seen is a playful mockery, not dissimilar to the “you’ll be watching The Bill, when we’re in Seville” chanting, which was predictably and understandably mocked by the Rangers support when the shoe was on the other foot. It’s all swings and roundabouts with the Old Firm, and it always will be. The club enjoying the lion’s share of success will poke fun at the other. It’s the way it’s always been; it’s the way it’s always going to be. Regarding his besmirching of Neil Lennon and Peter Lawell, I can put that to bed quite simply. Lennon has done fantastically well this season, yet has to put up with all this talk of a potential title win being ‘tainted’. The Celtic boss simply pointed out that if that’s the line of thought, then surely many of Rangers’ title wins in recent times too are ‘tainted’ by virtue of living beyond their means – a fair point surely? Lawell’s comments about Celtic being able to survive without Rangers too are completely understandable. Lawell is a businessman, Celtic are his product that he has to market. During his tenure, he’ll paint the most positive picture to outwardly market the club, whether he personally agrees with it or not. What part of this is “sinking the boot in” Mr Hateley? Perhaps unavoidably, Hateley did pass comment on the sectarian singing that reared its ugly head again last week. Fair play for casting it up Mark, but do songs of religious hatred really make you ‘cringe’? David Brent in The Office makes you cringe sir; the bile that was on show at Ibrox last week is unmistakably and utterly despicable. Not to absolve the Celtic support from blame, as they too have a small contingent that need to buck up their ideas if their club is to flourish in the 21st century. It’s well beyond time for both clubs to leave behind the socially backward mentality that’s held them back in recent history. But just as the ex-pro began to regain a modicum of credibility, out he came with a final parting bitter, scathing attack on Celtic. Yes, a supposedly well respected ex-pro, who should be 100% focussed on what positive steps can be taken to thrust Rangers into stability, closes his piece with a petty poke at Celtic for failing to win the league in the three previous seasons. How obtuse of him. Yes Mark, Celtic have steadied their ship this season, after what’s undoubtedly been, a bad spell both on and off the park. But what does this have to do with the rest of your article? And indeed the major issue at hand, the impending and perpetual struggle that his former club faces. In recent weeks I’ve listened to many ex-Rangers players throwing in their two cents about the situation. In particular for me, Neil McCann and Richard Gough have spoken more sense than others, and exponentially more sense than Hateley. McCann and Gough held their hands up and acknowledged that the club was poorly run, in a financially imprudent manner. 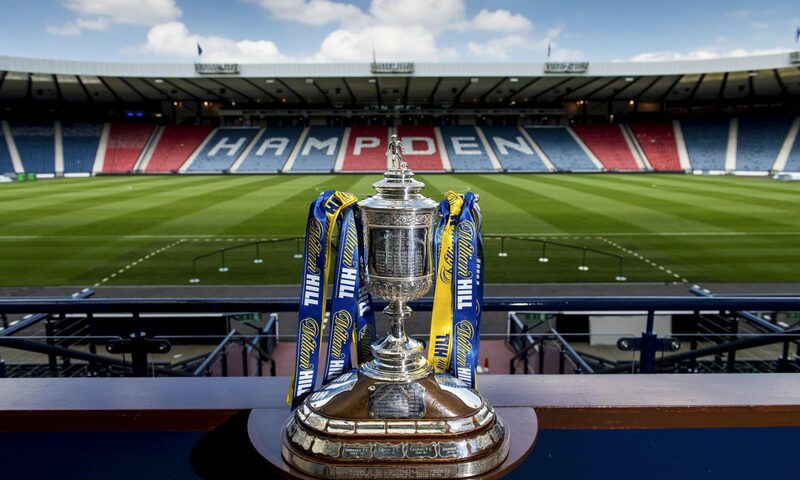 They however, accept the situation and try and draw on the positives, looking to the youth system for the future, and taking special time out to sympathise with the honest and hard-working staff and fans at Ibrox. Perhaps the likes of Gough and McCann could do another honourable deed and give Hateley a call, solely to suggest he keeps his bitter, negative drivel to himself. Those who really care about Rangers would be entirely concerned about the situation at hand, instead of trying to score points with cheap slanderous comments against the other half of the Old Firm.